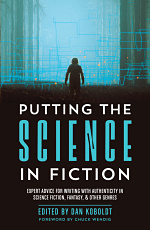 This article about schizophrenia treatment is part of the Science in Sci-fi, Fact in Fantasy blog series. Each week, we tackle one of the scientific or technological concepts pervasive in sci-fi (space travel, genetic engineering, artificial intelligence, etc.) with input from an expert. Jon Peeples went to medical school at the University of Mississippi and completed his internship at Dartmouth-Hitchcock Medical Center. He’s in his final year of residency at Emory University School of Medicine where he serves as the chief resident in psychiatry at the Atlanta VA Medical Center. His clinical interests include psychiatric collaborative care and severe mental illness in the Caribbean. He has completed a MG science fiction project, and he’s currently working on a YA fantasy novel that explores gender and Obsessive Compulsive Disorder. You should follow him on Twitter. 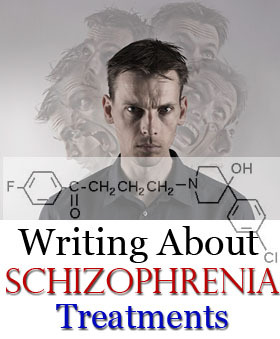 He’s already written some great posts on bipolar disorder and schizophrenia for writers. Editor’s Note: Although our expert is a doctor, he’s not your doctor. This article is for informational purposes, and should not be considered medical advice. If you need that, please talk to your physician. There are also some great resources (and phone numbers) at MentalHealth.gov. If you could travel back in time and interview my 8-year-old self, I’d tell you that Return to Oz was one of mankind’s most terrifying creations. Did any of you get a chance to see it? The film tells the story of how Dorothy Gale returns to Oz to find the Emerald City in ruins. She’s immediately attacked by creatures who are wearing samurai masks and have wheels for hands and feet. She discovers that the tin woodsman and the cowardly lion have been turned to stone. Before long, she meets a beautiful queen who just happens to have an extensive collection of human heads. Dorothy uses her charming personality to win a few allies, but her newfound friends are even weirder than her enemies. There’s a gangly character who has a jack-o-lantern for a head, a talking chicken, some moose-couch-palm tree hybrid that can fly, and a round, metal person who looks like he’s a missing piece of the Wanka Wash machine. If I tried to describe the main bad guy to you, I probably wouldn’t be able to sleep for weeks. On a dark and stormy night (could you get any scarier?) the treatment team comes for Dorothy. They strap her to a stretcher and wheel her down the hall into a room where they connect her to a machine that’s supposed to shoot electricity into her body in an effort to make all of her bad thoughts go away. 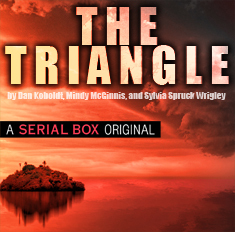 The storm knocks out the power just before the treatment begins, and Dorothy manages to escape, though she can’t save all the “damaged” patients who are “locked in the cellar” and screaming. We all know that all of Dorothy’s chatter about Oz is completely true, but even if it wasn’t, she probably doesn’t have schizophrenia. If I was a psychiatrist seeing her, I’d probably say that whatever she was experiencing was due to the crazy tornado that hit a few months before. I’d consider giving her something for sleep for a few weeks, but I think therapy would be the mainstay of treatment. You can read more about schizophrenia’s presentation and diagnosis here. The point I want to make is that books and movies can make mental health treatment look scary. Sometimes that’s for good reason (like the lobotomy in One Flew Over the Cuckoo’s Nest), but other times it’s overstated (like in season 3 of Smallville when Clark Kent tried to prevent Lex Luthor from getting electroconvulsive therapy because it would turn him into a “vegetable”). I want to run through a few treatment modalities for schizophrenia because I think it’s important to portray mental health treatment in honest ways. I’ve had many patients who’ve been afraid to get good treatments because of what they’ve seen on television. I think there are a lot of psychiatrists out there who’d disagree with me on some of these points, but I’ll give you my take. I do not think that all people who have been diagnosed with schizophrenia need to be on medication. I say this for a couple of reasons. One is because there are tons of people who’ve been “diagnosed” with schizophrenia who simply don’t have the illness. I do not want to subject these people to damaging side effects of antipsychotic medications if the medications aren’t going to do them much good. Another reason is because some people can be psychotic but function fine off of medication. I think that it’s essential for people with schizophrenia to understand the risks and benefits of treatment, but if they do understand these principles, I do not want to infringe upon their autonomy by trying to force something on them that they don’t want. As I’ll discuss below, there are some situations where people can and should be involuntarily medicated. The nuances of exactly who should be treated and in what way are beyond the scope of this article, but I wanted to make it clear that I’m not endorsing the treatments below for all people with schizophrenia. I think it’s important for the patient to have a conversation with his or her provider about treatment that encompasses all biopsychosocial aspects, not just medication. My discussion below, however, will primarily focus on medication. Antipsychotic medications (or neuroleptics) are the mainstay treatment for schizophrenia. These medications block various neurotransmitter receptors in the brain. The receptor profiles vary from medication to medication, but they are thought to primarily act by blocking a neurotransmitter called dopamine which is believed to be (partially) responsible for many of the symptoms of schizophrenia. Antipsychotic medications are often broken down into two categories: first generation antipsychotics (or typical antipsychotics) and second generation antipsychotics (or atypical antipsychotics). As the name suggests, first generation antipsychotics are older than their second generation counterparts. Haloperidol (or Haldol) is probably the most commonly used first generation antipsychotic today, though fluphenazine (Prolixin), chlorpromazine (Thorazine), and perphenazine (Trilafon) are occasionally used as well. These medications typically cost less than many of the second generation antipsychotics, and you’ll encounter them more in community mental health clinics and state mental hospitals than in academic hospitals and private clinics. An oculogyric crisis is when one’s eyes are affected (usually deviating upwards). Torticollis is an abnormal twisting of one’s neck. Opisthotonos describes a spasm of the back muscles that causes an arching of the head, neck, and spine. Tardive dyskinesia is a phenomenon typically seen in patients who have been on antipsychotic medications for several years. It is characterized by slow, repetitive movements that most often affect the face, lips, and tongue, but other parts of the body can be involved as well. Second generation antipsychotics include olanzapine (Zyprexa), quetiapine (Seroquel), aripiprazole (Abilify), risperidone (Risperdal), ziprasidone (Geodon), and lurasidone (Latuda). Second generation antipsychotics are more commonly used than first generation antipsychotics for a few reasons. One reason is that many psychiatrists believe that second generation antipsychotics more helpful with the “negative symptoms” of schizophrenia (again, see part 1). There’s some debate about this claim, but there also seems to be some debate about everything in the field. Another major benefit of second generation antipsychotics is that they do not cause movement problems as often first generation antipsychotics do. Dystonias and tardive dyskinesia can certainly still happen with second generation antipsychotics, but the most common movement problem I see is akathisia. Akathisia is a feeling of restlessness in which the patient feels compelled to walk around. There are some drawbacks to second generation antipsychotics. The major problem, I think, is that they can cause all sorts of metabolic derangements. They can cause weight gain, diabetes, high cholesterol, and high blood pressure. It’s very important to monitor all of these parameters closely in patients who are taking second generation anitpsychotics. I should mention that all antipsychotic medications have a “black box” warning for increased mortality in elderly patients with dementia-related psychosis. Often times, demented patients have all sorts of behavioral disturbances. Treating these can be tricky because many medications (such as benzodiazepines) can provide momentary relief but ultimately make the disturbances worse. Sometimes antipsychotics are required to control agitation in demented patients, but it’s important to carefully weigh the risks and benefits of using these medications in this patient population. Antipsychotics have helped a lot of people, but they usually only produce a partial response. There’s no total cure for schizophrenia. Sometimes the partial response isn’t enough for the patient to adequately function in society. In those cases, it’s a good idea to think of other treatment options. The first thing that you want to consider is whether you’ve made the right diagnosis. If you’re trying to treat a substance use problem with antipsychotics, of course the patient isn’t going to get any better. Once you feel confident about the diagnosis, you want to ask whether the patient is actually taking the medication. Often times patient aren’t compliant with medications. I see that across almost all medical conditions, not just in schizophrenia. When patients miss doses of medication, I can’t say that I blame them. It’s hard to remember to take pills every day, and sometimes the side effects can make you feel sleepy or hungry or just not yourself. If a patient is struggling to take antipsychotics every day, he or she can try a decanoate form of medication. Decanoates are often referred to as “long acting injectables.” Patients can go to mental health clinics and get antipsychotic shots every few weeks, and the medication will slowly enter their system over time. Not all antipsychotics come in these forms, and the time intervals vary from medication to medication, so if you’re going to include one in your book, make sure to look up the specific medication and how often it is given. For instance, haloperidol decanoate is usually given every 4 weeks whereas Risperdal Consta is usually given every 2 weeks. What if a patient is 100% compliant with medication but is still having significant symptoms? It’s time to consider clozapine. Clozapine is a second generation antipsychotic, but it seems to be better at controlling psychotic symptoms than any other antipsychotic. Why isn’t everyone on it? Adverse effects. Clozapine is most famous for causing something called “agranulocytosis.” This basically means that it decreases your white blood cell count so much that you’re unable to fight infections. To check for this, providers are required to do blood draws on all patients who are on clozapine. These blood draws have to be done weekly for 6 months before being spaced out to every other week for the next 6 months then monthly after that. In addition to agranulocytosis, clozapine can also cause myocarditis, orthostatic hypotension, seizures, weight gain, and sedation. Electroconvulsive therapy (or ECT) can be considered in schizophrenic patients as well. ECT is so intensely debated and misunderstood that it probably deserves its own post. I’ll say that it’s certainly not perfect, but it’s also not nearly as scary as television, books, and movies would have you believe. The main side effects are memory deficits that are usually limited to two weeks surrounding the course of treatment. Its most common use is in major depressive disorder, though studies have shown benefit in other conditions as well. For schizophrenia, most providers would only use it in treatment resistant cases, though the threshold seems to be much lower for patients with depression. If you want to include involuntary medication in your book, my recommendation is to look up the local laws of whatever state the book is set in because the rules vary widely state to state. The general principle is that patients can be involuntarily medicated if they’re posing imminent risk of harm to themselves or others. For instance, if a patient is attacking staff members at a hospital, the providers should be able to give involuntary medication (Intramuscular Haldol 5mg, Ativan 2mg, and Benadryl 50mg is a common combination). But once that imminent threat of danger to self or others goes away, the providers may not be legally able to give medication. If you want to give involuntary medication for an extended period of time (like in a mental hospital or for certain forensic evaluations), you typically need a court order. Again, this varies widely state to state, so you’ll have to look up the laws or ask a local psychiatrist. It’s impossible to cram everything about the treatment of schizophrenia into a few pages, but I hope this was a helpful overview of antipsychotic medications. Often times, patients have depression or mania on top of their psychotic symptoms. In those cases, it’s reasonable to give antidepressants or mood stabilizers in additional their antipsychotic medications. There are also some psychotherapeutic treatment options such as Cognitive Behavioral Therapy for Psychosis. Finding things for people to do during the day is also helpful. When schizophrenic patients are able to work for as little as 10 hours a week, they’ve shown improvement. I think the take home message is that psychiatric treatments aren’t perfect and have significant side effects, but they’re also not as bad as they’re usually portrayed. Try to read up on whatever medications your decide to include in your book and try to be fair in your description of them. There are some really sick people out there who need treatment, and I don’t want them to be scared away by what they’ve read in books or seen on television.